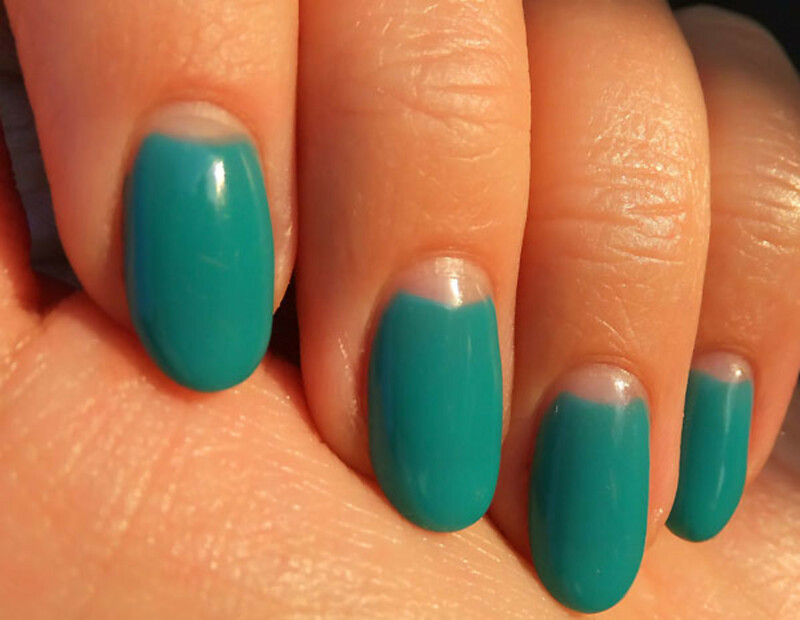 What's the name of this no-chip manicure colour again? Okay, it's something I'm not. Um... er... nope, still no clue. Rats. "It&apos;s With It by Artistic Colour Gloss," said Leeanne of this nail colour as she applied my soak-off, empty-moon mani just over a week ago. "At least something about me is with it," I said. Six days later I had to DM Leeanne for the name. Sheesh. 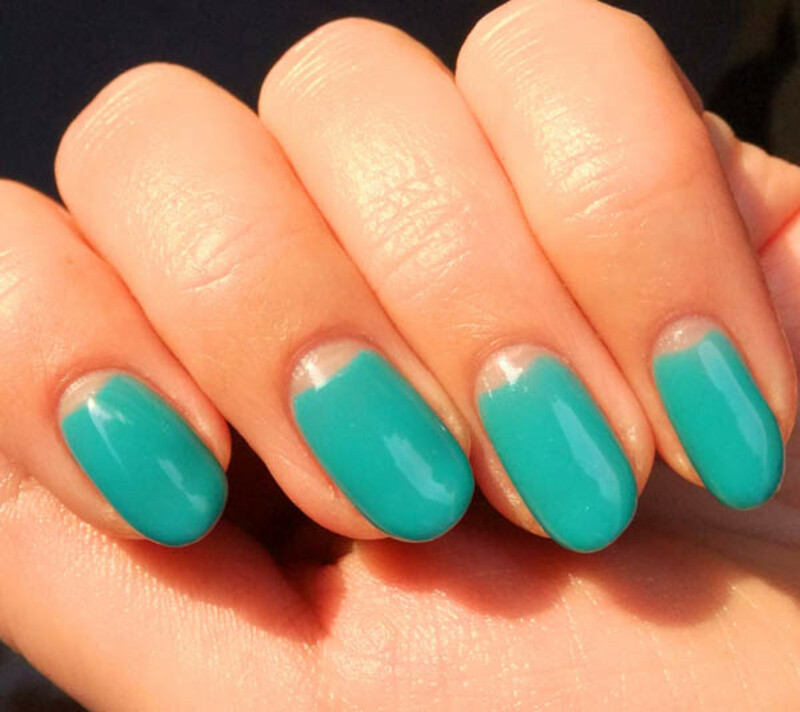 Whether I&apos;m with it or not, I love this no-chip gel colour as a warm-weather shade. It&apos;s a deeper shade of teal than it appears in the photo, though (cameras totally lie). Oh, and note how tiny Leeanne made the moons. Re-growth won&apos;t look so obvious; this is already more than a week after application. 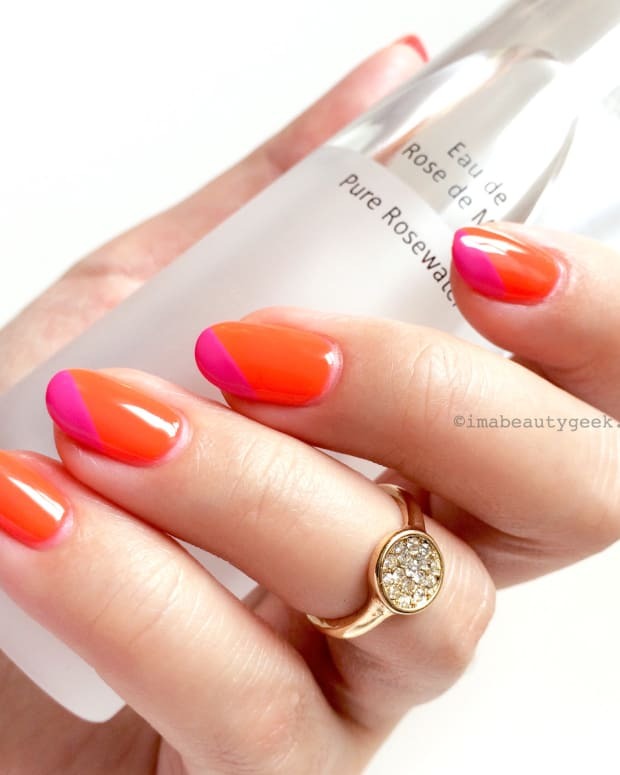 Artistic Colour Gloss is a soak-off gel collection by celeb manicurist Tom Bachik.